The religious holiday Carnival is celebrated all around the world. Carnival is when you have the last chance to be naughty before lent. 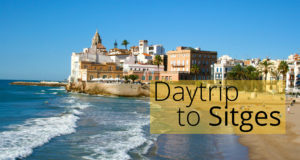 The Carnival of Sitges is one of the most popular ones in Catalonia. Its history is over 100 years old. 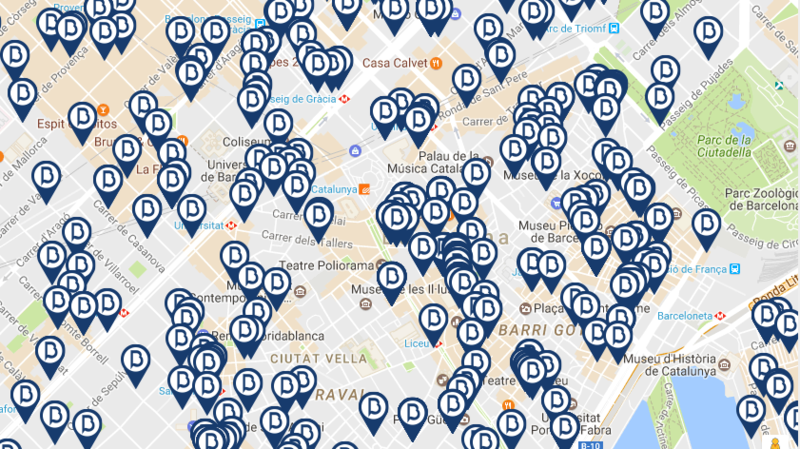 On the 15th century, a dyslexic man misspelled Carles de Can Torras for Calrestorles. Calrestorles died on an Ash Wednesday, the first day of Lent. 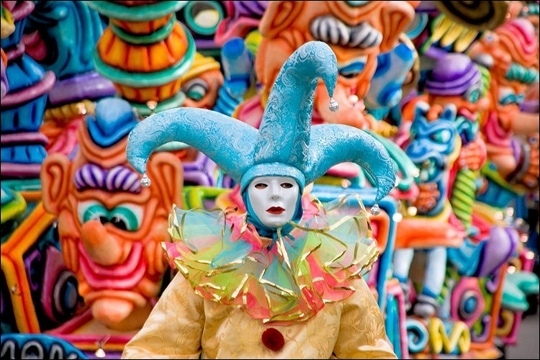 With time and people’s imagination, the people of Sitges made Calrestorles be remembered as Carnestoltes. 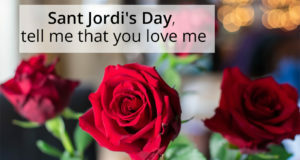 For that reason, Fat Thursday has the King Carnestoltes arriving with the Queen to the city to proclaim unlimited partying, and the last day, Ash Wednesday, the burial of Carnestoltes is celebrated, where the testament is read. Those events are all performances that go around the city in parades with symbolic meanings. The parades have people dressed up in costumes that represent different roles in the performance. During the weekend of Carnival, there are several visits from the Queen and children queen of carnival to schools, nursing and senior homes in the city. On Sunday, there is a parade dedicated to children and a parade dedicated to adults with typical dances. People that take part on the parade take their costumes seriously. Feathers, glitter, makeup, are all fundamental on a good costume for the Sitges Parade. 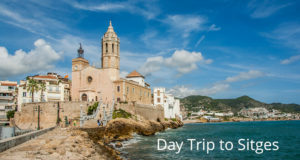 Every year the Carnival of Sitges attracts around 250,000 people from all around the world in addition to the city’s population. 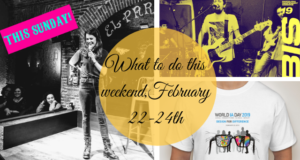 People of all ages and genders come to the ”pueblo” to enjoy the week’s festivities. 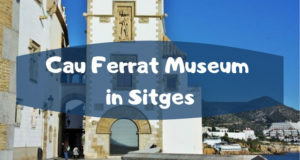 Most of these temporary tourists come for a day from their stay in Barcelona by train or bus, since Sitges is only 30km away from the Catalan capital. 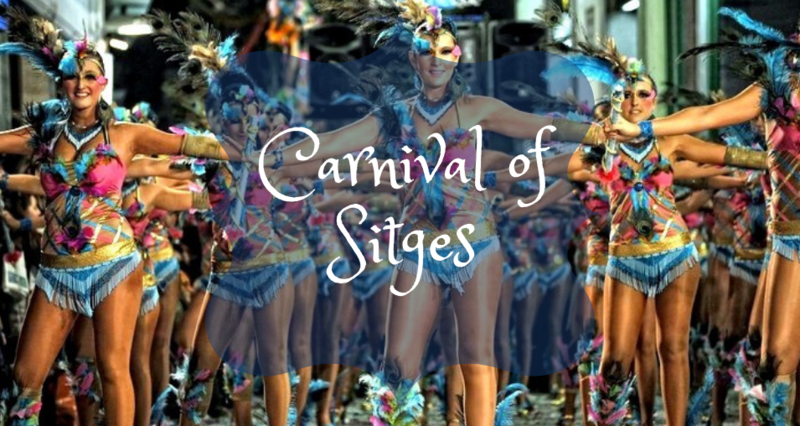 Due to Sitges’ popularity for being a famous gay destination and the openness of the locals to the gay community, the carnival of Sitges is more adult focused than family focused, however many families and kids still participate on the day parades and kids-only parades. 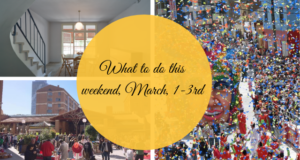 The largest parades take place on Sunday and Shrove Tuesday. The most popular parades are the Debauchery Parade and the Extermination Parade. Debauchery is famous for its 40 floats that carry over 2,000 participants during its course. The Extermination Parade marks the end of celebrations. It is usually full with drag queens dressed in black in grief for the death of the king of carnival. Finally, on Ash Wednesday, the Burial of the Sardine, or the king, symbolizes the beginning of the abstinence period.